Today we are recommending two easy vegetable side dishes that can be incorporated into your Thanksgiving celebration, or enjoyed throughout the season. The recipe for Roasted Sweet and Savory Squash has restored acorn squash to my good favor and put it back on the shopping list. The mix of sweet brown sugar, melted butter and Fall herbs is comfort food at its best. Preheat the oven to 375F. 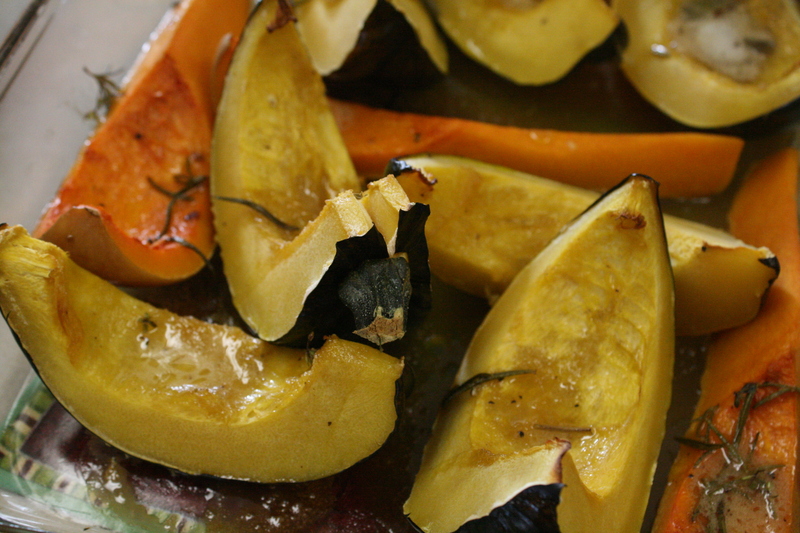 Place squash slices into a baking pan. Mix the melted butter with the brown sugar, salt and pepper, and herbs. Spread the butter mixture on the slices of squash. Bake for 40-50 minutes until squash is tender. Serves 8-10 depending on amount of squash. The combination of mashed potatoes and turnips makes a nice, yet subtle, change from regular mashed potatoes. Because the color is the same as traditional mashed potatoes, the only clue one gets to the presence of the turnips is the slight tang they add to the mildness of the potatoes. 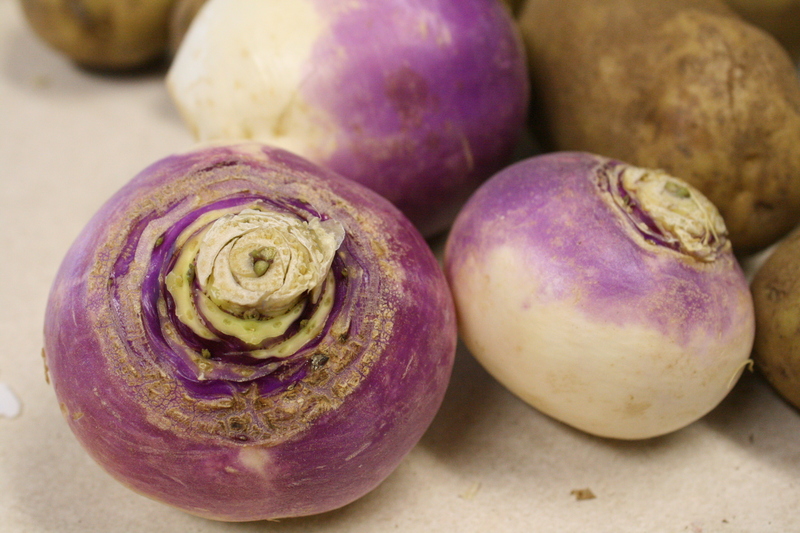 The best proportion for potatoes and turnips is somewhere between two parts potatoes to one part turnip. A good standard measure for mashed potatoes is one medium potato per person plus one or two for the pot. Thus, for this recipe, if you are serving 12, you will want 8-9 potatoes and 4 turnips. Place the peeled and cut potatoes and turnips in a pan. Cover with water. Bring to a boil and simmer until tender (the turnips may take a bit longer than the potatoes -- that is fine). Drain the potatoes and turnips and mash. Add sour-cream, butter and salt & pepper to taste. I like the idea of the potatoes and turnips. Easy to make and a little different.